Well, that sure didn’t take long! 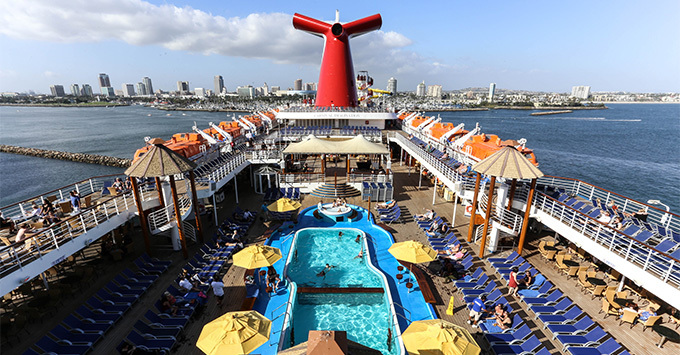 Only a few short weeks ago, Carnival Cruise Line introduced three different photo packages designed to make it easier and more economical for passengers to purchase the pics they have snapped around the ship. And this week, the cost of two of the three packages went up significantly! Pixels: This package offers prints of 5 of your best photographs, plus 1 16” by 20” canvas portrait at a cost of $99.99. The price on this package has not changed. Pixels Plus: With this package, you can choose as many of your favorites as you like and have them printed at a cost of $249.99. Previously, this package cost $199.99. Pixels Plus Digital: This option offers you all of the prints of your favorite photographs, plus a souvenir USB stick containing high-resolution digital versions of the pictures, and runs $399.99. Previously, this package cost $249.99. Αναρτήθηκε από geop στις 9:11 π.μ.